A few links regarding the last three shows in Europe this year. There are lots of videos from this show on Youtube. It doesn´t make much sense to post them all here. Tons of pics on twitter and instagram, but I haven´t found a review or photo gallery. My favorite cover on this tour! Truly. Truly we have become. High Dive is positively rammed as Loved Ones front man Dave Hause comes on stage, although perhaps at least partially because Red City Radio are playing after him. There's a line around the building that has to be bummed, because despite only being armed with an acoustic guitar, Hause quickly proves that he is one of the most capable stage performers at FEST. Not that his guitar playing is anything above well-managed chords, but his vocals and diction are flawless and despite seeming like he doesn't actually have the set prepared he quickly sparks a connection with both audience and the stage crew, making the half hour fly by like a casual conversation that's only interrupted by him singing songs of both his own and The Loved Ones' make. These songs are instantly enjoyable even to newcomers, but there is of course a dedicated crowd of fans here singing back every chorus with glee, and the singer seems happy to let the audience decide parts of the setlist, occasionally stopping songs to ask things of the crowd or beg the stage hand to bring him a Pabst. Basically this is what it looks like when a truly experienced performer steps up and uses his sheer routine to make sure a whole venue has a great time. A free lesson you could say, for any younger, aspiring artists in the audience. They (HWM) follow it up with "Mainline" from the new album, before surprising us (yet again) with Dave Hause guesting for "Trusty Chords" to echoing sing alongs from the crowd. 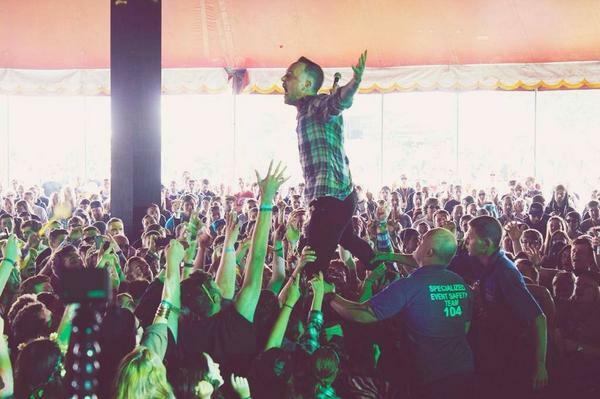 That song is amazing in the first place, but with Dave Hause's personal touch it sounded even better than usual as we all sing the "Hey-yeah, hey-yeah, hey-yeaaaah" parts in unison. and Chuck Ragan for Broken Ears. We even get a guest appearance by Dave Hause during "For Broken Ears" for good measure. Many thanks to my friend Rebekka for the videos! Thanks for the photo and the clips Lorraine! Seems that Dave played Tim´s Telecaster and not his own guitar at this show. I haven´t seen him playing any other guitar than a Les Paul over the last three years. 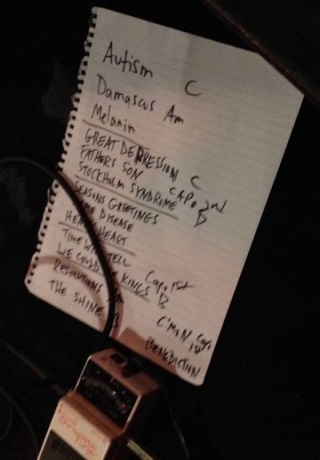 Trusty Chords with Hot Water Music in Chicago 05 Nov 2014. A new video on YouTube! Sorted some old pics and videos this weekend. Just crappy cellphone videos, but I thought I should share this performance of Before in Manchester (the best one I´ve seen so far! ).